Photographs are the remembrance of the memories that you spend with your loved ones. You may want to extract photos from your iPhone to computer all at once to keep them in a safe place. There are lots of programs online dedicated to helping you extract the photos from your comuter to iPhone easily. This article addresses the best 5.
iMyFone D-Back or iMyFone D-Back for Mac leads the race when it comes to the iPhone backup picture extractor. 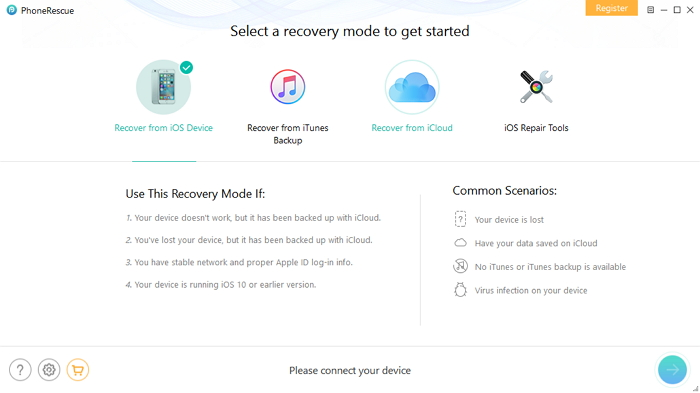 The recovery program is capable of extracting multiple data from your iPhone and other devices from Apple such as iPad and iPod touch. 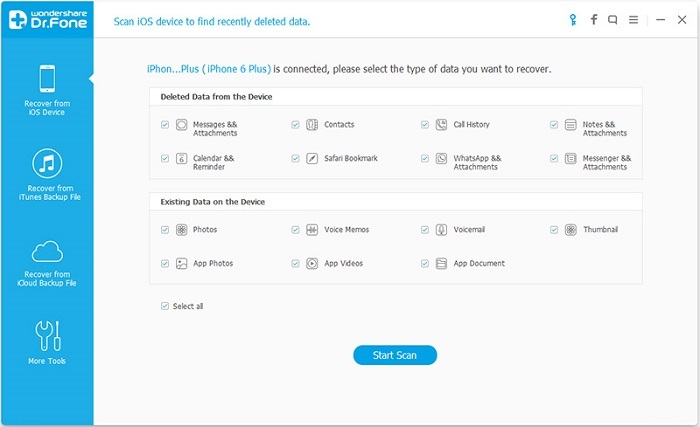 You can quickly scan the device, preview the data, and download the selected ones in a few simple steps. 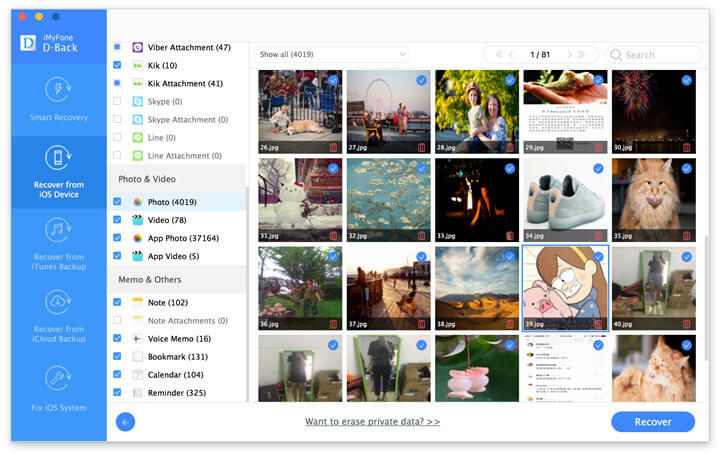 Support 22+ file extensions such as contacts, photos, calendars, call history, text messages, documents, Safari bookmarks, and notes. Directly extract content from iPhone, iPad, and iPod touch. Support extracting files from backups created in iTunes and iCloud. Allow you to preview of extractable files. It is compatible with the latest iOS 11. Just to demonstrate how easy it is to use, here’s how to use iMyfone D-Back to recover photos from an iPhone. 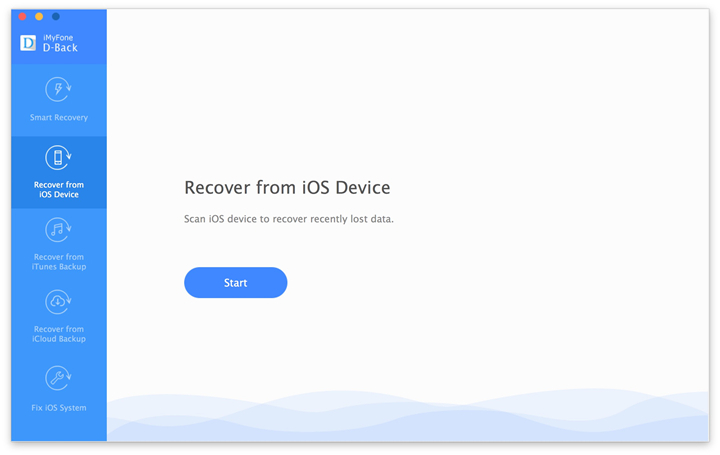 Step 1: Run iMyFone on your computer and then select “Recover from iOS device.” Click “Start” to begin. Step 2: In the next window, select “Photos” under “Photo & Video” since this is the type of file we wish to recover. 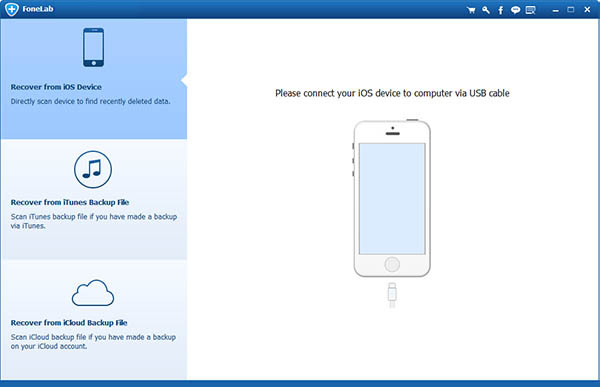 Step 3: Connect the iPhone to the computer using USB cables and click “Scan” as soon as the program detects the device. Step 4: Once the scan is complete. Preview the photos and then select the ones you want to recover. Click “Recover” to save the deleted photos. 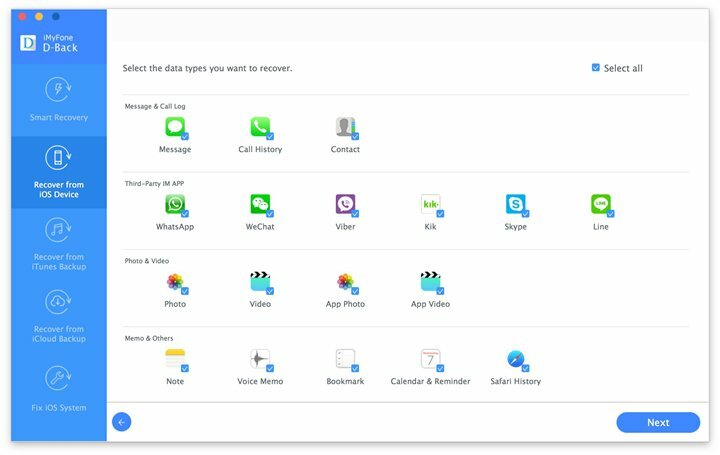 Wondershare’s Dr.Fone is a decent iPhone backup photo extractor that is capable of retrieving photos and other contents from your device. You can even extract photos from backup files stored in iCloud and iTunes. 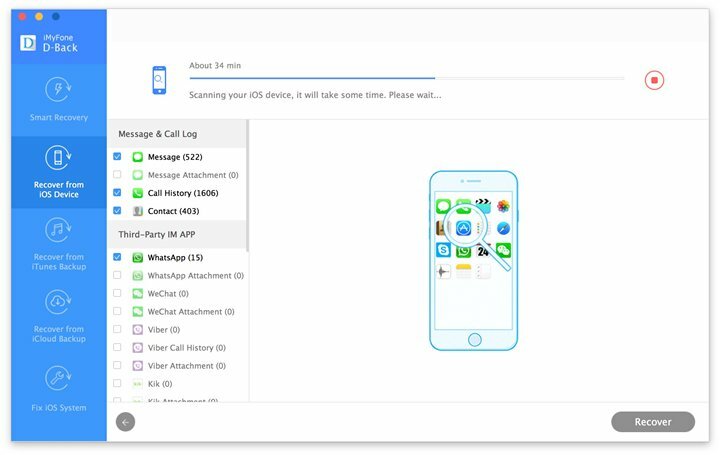 The PhoneRescue from iMobie functions efficiently in recovering photos from your iPhone, iPad, and iPod touch. You can even recover messages, call history, and much more with the photo extractor iPhone package. Aiseesoft FoneLab is a complete iPhone photo extractor for extracting photos and other valuable content from your iPhone. 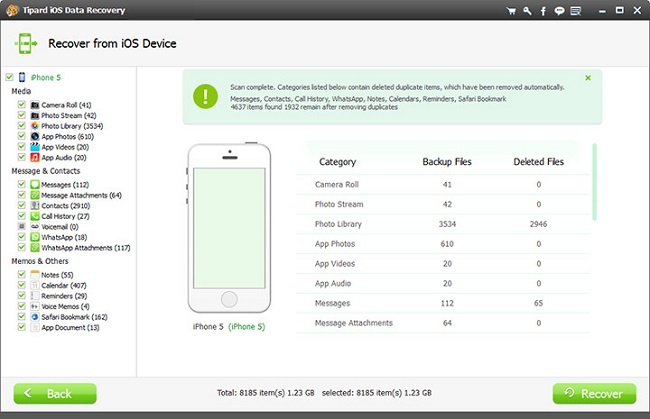 You can easily recover all the lost files from your iPhone, iPad, and iPod touch. If you have lost your photos, then use Tipard iPhone backup picture extractor to retrieve them all. It has the talent in recovering all the content that you lost or erased accidentally. You may lose your precious photos due to unforeseen circumstances. Nevertheless, you can get back all those with the help of recovery tools such as iMyFone D-Back for Win or iMyFone D-Back for Mac in a few simple steps.